In the SEG-Y Loader, define the type of data (2D/3D), vertical domain and gather dimension (if data is gather) in the basic settings. 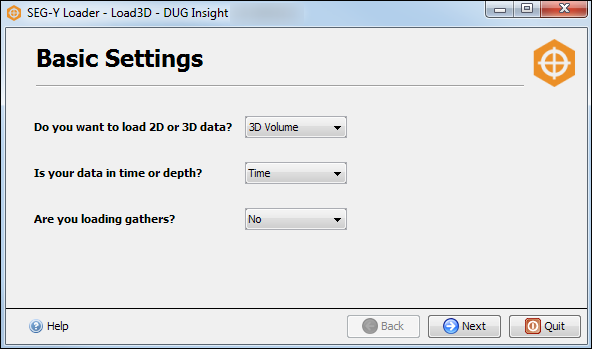 Do you want to load 2D or 3D data? — Select 3D Volume. Are you loading gathers? — Select No if you are loading single traces data. If data is gathers, you can select Yes - Offset, Yes - Angle, Yes - Frequency or Yes - Channel based on the gather dimension of the data.